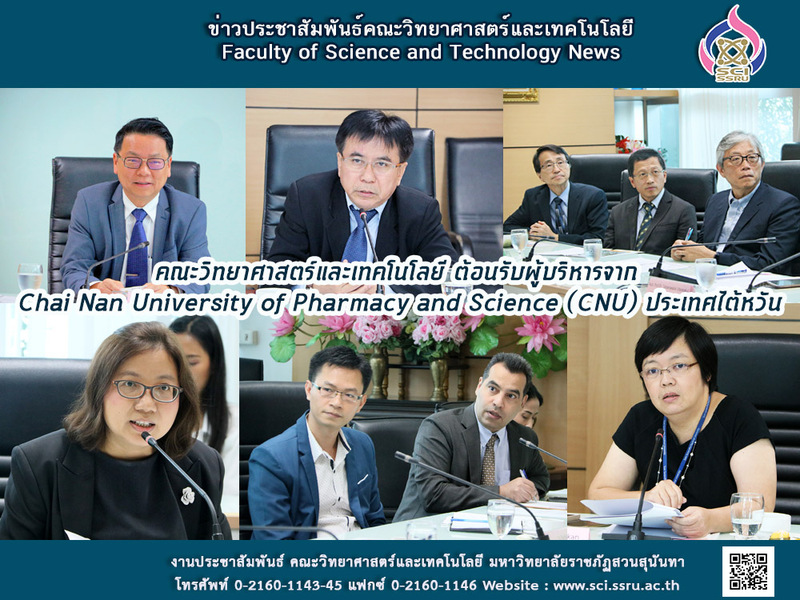 Chia Nun University of Pharmacy & Science (CNU) President, Prof. Dr. Hong Chu Chen led a delegation including Dean of Research and Development, Prof. Chih-Hsiang Liao, and Dean of Pharmacy and Science College, Prof. Dr. Kuan-Han Lee, to visit Faculty of Science and Technology, Suan Sunandha Rajabhat University, Thailand on November 21, 2018. They were warmly welcomed by the Prof. Dr. Somdech Rungsrisawat, Vice President for Academic Affair, Suan Sunandha Rajabhat University, Thailand. After comprehensive introduction (VDO presentations) from both universities, Prof. Dr. Anat Thapinta gave a compelling presentation on the current state of Memorandum of Understanding (MoU) between SSRU and CNU. It is noteworthy to mention that MoU has been signed on August 30, 2016. Delegations from two universities discussed about the implementation, challenges, and prospects of dual degree programs between SSRU and CNU. During the meeting, Prof. Chih-Hsiang Liao showed recent higher education collaborations with CNU and explained the interfaculty connections for further collaboration and to establish a sustainable dual degree programs with SSRU. Pursuing education with dual degree program in two universities helps students to achieve a better global perspective. With this scientific vision, this meeting effectively facilitated university exchanges and collaborations between SSRU and CNU.